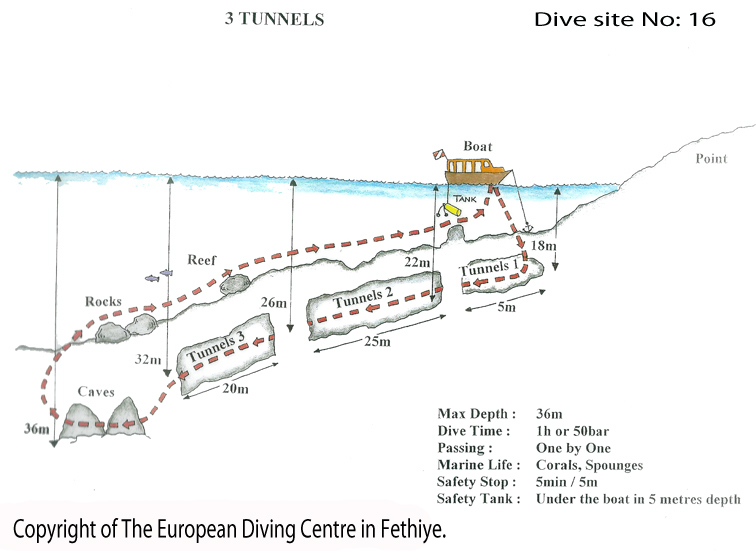 Three Tunnels » European Diving Centre Fethiye. 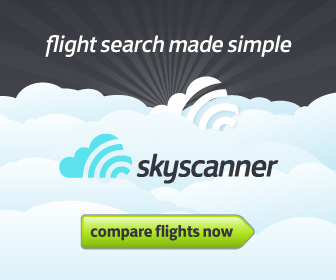 This site does exactly what it says on the tin! The tunnels are created by large cracks in the rock structure and are large enough for divers to pass through in single file. The deepest tunnel entrance is at 30 metres and slowly ascends to 26 metres. Our dive guide will exit in a large area between tunnels and wait for all divers in the group before entering tunnel 2. Tunnel 2 provides a good test of buoyancy as there is a dog leg in the tunnel requiring divers to ascend slightly to maintain forward motion. Tunnel 2 exits at 22 metres where our dive guide will repeat the procedure from tunnel 3. Tunnel 1 is a relatively short 5 metres in length exiting at right angles into the blue water on the left of the tunnels at approx 18 metres. The rest of the dive is carried out on the top of the reef where numerous cracks and crevices are the perfect hiding place for a wide range of marine species. Safety stops are carried out at the anchor line or back of the boat before exiting .